Search in English, Pinyin, Pin1Yin1, Simplified, or Traditional Characters. All search features available without Internet access. Use Bookmarks to assemble word lists into your own organization of folders and subfolders. Online sync services provide backup and multi-device data synchronization. 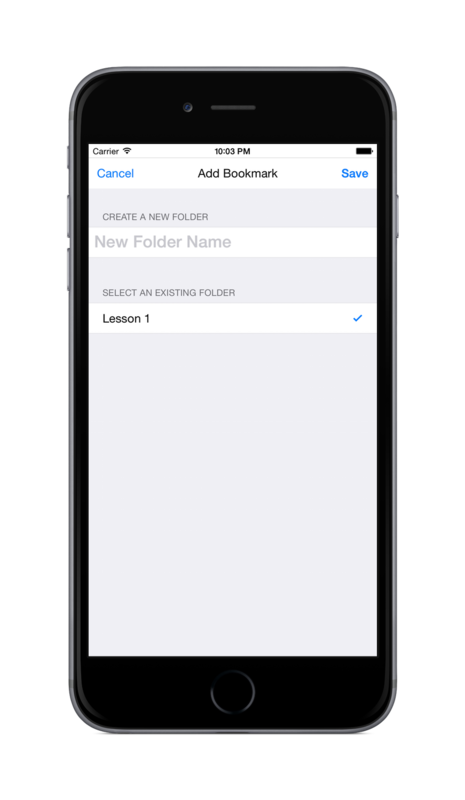 Study Bookmarks with Flashcards and Typing/Writing tools, utilizing an effective Spaced Repetition algorithm to make the most efficient use of your time. Purchase the +Audio version to have access to native pronunciation of over 16,000 entries with simulated pronunciation of all 80,000+ entries. DianHua Dictionary searches CC-CEDICT English definitions using root words and correcting for some spelling errors. Search results are ordered by both match quality and usage frequency. The most common Pinyin search format is “pin yin”. By dropping the tones, you can type Pinyin searches quickly and easily, but if you are searching for a single character, you may be overwhelmed by results. Add tone numbers to your Pinyin to limit the results further. Use tone numbers 1-5 with 5 being the neutral tone, separating each Pinyin syllable by a space. For example: ni3 hao3. 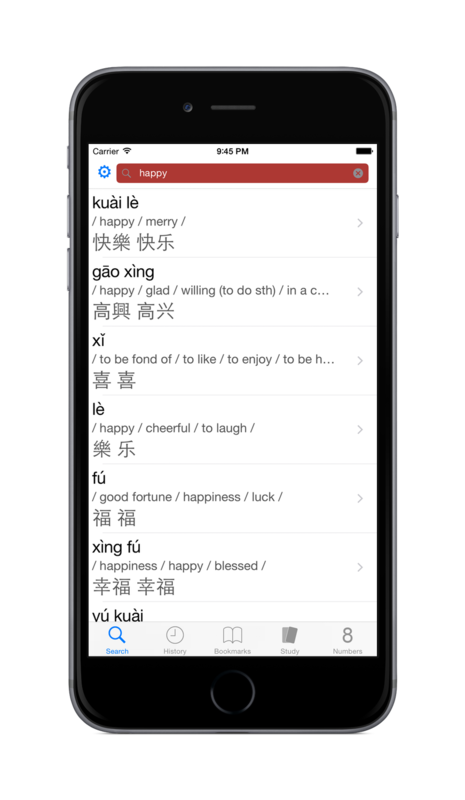 DianHua Dictionary also supports searching with proper Pinyin including tone marks, but given how cumbersome it is to type on a phone, other alternatives are recommended. Search DianHua Dictionary using Simplified or Traditional characters. iOS provides Chinese keyboards for Handwriting, Pinyin, and Stroke. You can enable any of the Chinese keyboards under iOS Settings, General, Keyboards. Do you know the Pinyin and have a general idea of the meaning? Combine search types to yield more accurate results. 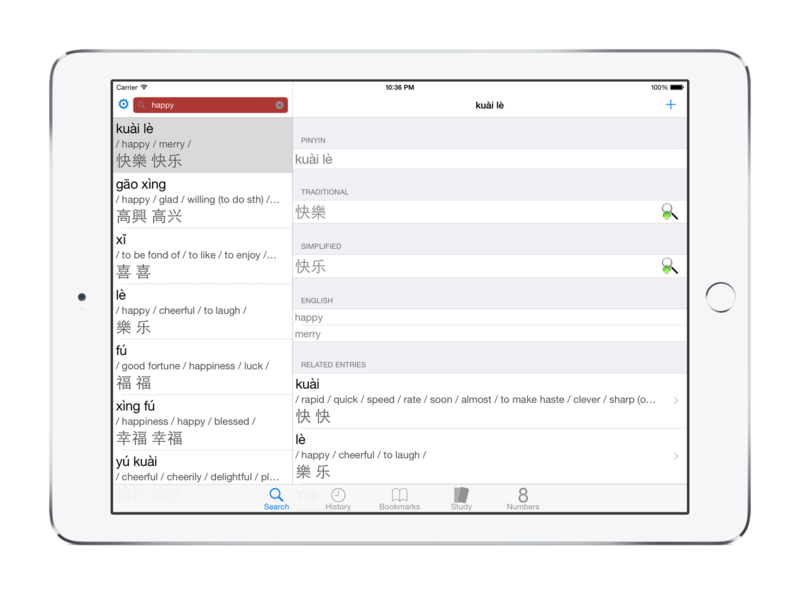 For instance, you can search for “hao hello” to find “ni hao” and “nin hao”. Bookmarks allow you to build word lists from dictionary entries in any combination of folders and subfolders. Use your Bookmark folder structure to optimize your study time or just keep your lists organized by topic. 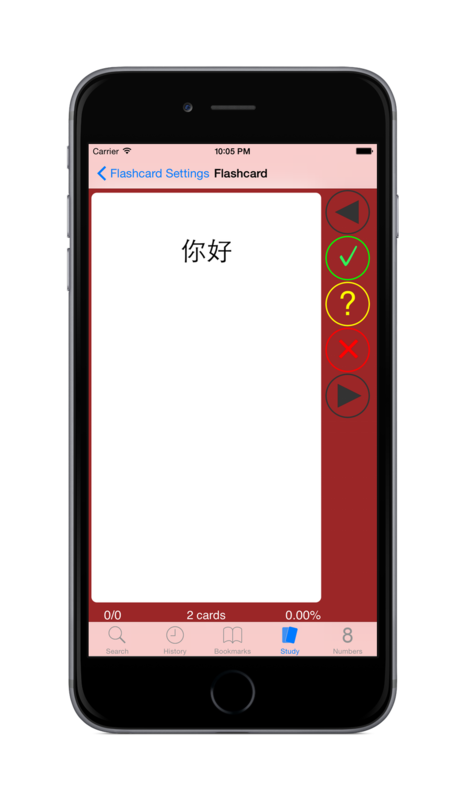 If you do not find an entry in DianHua Dictionary that you need to study or if you want to study longer phrases or even sentences, DianHua Dictionary allows you to create Custom Bookmarks. Working in conjunction with DianHuaDictionary.com, the Sync service keeps your Bookmarks, Study Progress, and Search History synchronized across multiple devices. It also allows you to use DianHuaDictionary.com to modify your Bookmark data from a desktop computer browser. This can be particularly useful for efficiently copying and pasting characters from documents or a Skype study session. Do you need to manipulate your Bookmarks in a spreadsheet? Do you prefer to use Anki for flashcards? Using DianHuaDictionary.com, you can export all of your Bookmarks in a format compatible with spreadsheets or other applications like Anki. When studying Chinese, sometimes Front and Back fields along are not enough. More often than not, you need to see Characters on the front and both English and Pinyin on the back of the card. Regardless, DianHua lets you decide which fields you want to see on the front and the back. In the +Audio version, you can also have the audio played on the front and/or back of each card. The Writing study tool may be the least used but possibly the most effective at locking words into memory. Using any of the built-in Chinese keyboards, you can practice writing characters given any combination of English, Pinyin, and Audio. Download DianHua Dictionary from the App Store to try it out. If you decide you would like help with pronunciation, grab the +Audio version.